The Book Fair Foundation is comprised of a group of civic-minded people who work together collecting books to support community charities, carrying on the good works the group began in 1970. 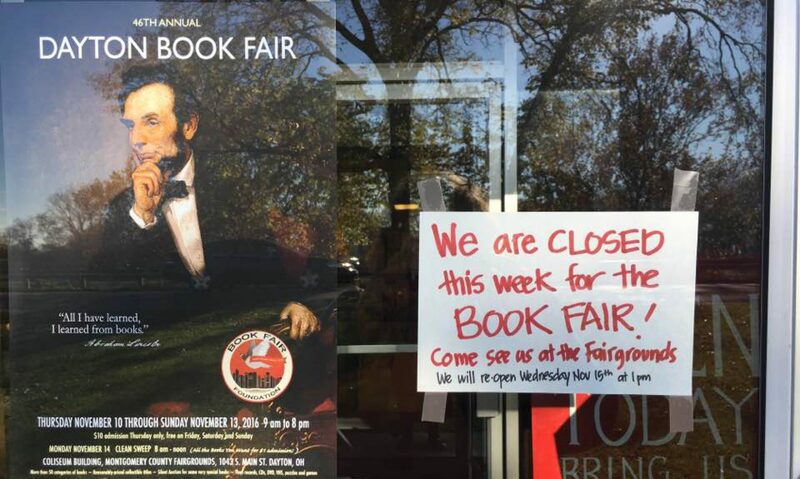 We work all year collecting books, media and findings and resell those during our annual Book Fair held during the second weekend in November at the Montgomery County Fairgrounds. Money raised from the sale of books is donated to selected Dayton-area nonprofit organizations. In 2018, proceeds from the sale will benefit Rebuilding Together Dayton, The Victory Project, and We Care Arts. We are a 501(c)(3) nonprofit organization, incorporated in the State of Ohio.